Medieval Engineers is the latest game in Keen Software House’s “Engineers” series, with Space Engineers being the first. The major difference between this title and Space Engineers is the setting. This time around, you will find yourself in a medieval land where you’ll have access to a variety of sandbox features. You’ll be able to build houses or castles, construct siege engines or other simple machines, and mine deep into the mountains. And, of course, this is all done with Keen Software House’s amazing technology. So you’ll have a satisfying experience whether you want to watch your friend’s castle crumble or if you want to build yourself an underground fortress. I have to admit, when I first played Space Engineers I wondered how amazing this type of technology would be if it were put into use in other settings. At the time, I didn’t think it would happen – it made sense that Keen Software House would focus on one game and Space Engineers still had a long way to go. You can imagine that I was (delightfully) surprised when I first heard that Keen would be making a Medieval game. I’ve had a soft spot for the Medieval setting in sandbox games since I first played Wurm Online many years ago. So I immediately jumped at the chance to look into Medieval Engineers. Sometimes you have to zoom way out in creative mode to truly admire your creation. You can’t have a medieval setting without castles, and Medieval Engineers definitely gives you castles. Well, the tools to make them, anyways. You can make a lot of other types of buildings, too. And what good is a castle if you can’t destroy? None. That’s why the ability to construct trebuchets that make use of the awesome physics in Medieval Engineers are present to fling giant boulders at things. And those awesome physics extend to the buildings themselves – if you destroy enough of a wall, it won’t magically stay standing. No, it falls apart in a way you would expect it to. Sure, it’s not as accurate as reality, but it’s accurate enough to be a ton of fun. Not too long back, I did a short interview with a developer on Medieval Engineers. In it, he said that the team was focusing more heavily on the survival aspects of the game. This makes a lot of sense – medieval setting and survival seem to go hand-in-hand. But, since the game is still in early development, survival isn’t yet fully implemented. Right now it’s limited to hunger, the requirement that you gather all resources for building (rather than the instant no-resources-needed building in creative), and the occasional spawn of bandits to keep you on your toes. Bandits, the emotionless slayers of all they can find with a limited attention span. Speaking of the bandits, they’re fairly basic so far. I’ll often find them running into something and not getting anywhere. Until they notice me, that is. Then they tend to be fairly decent at killing me. Basically hiding in your structure is a solid cheat to avoid the AI in the current alpha test. I’m looking forward to seeing how the devs continue to expand the survival aspect of the game as its certainly heading in the direction that has worked for similar titles. Right now (and I know, the game is still in Early Access and not nearly complete) the survival feels mostly like a chore and I often find myself playing in Creative instead. I envision something similar to Minecraft in the future – not zombies (or maybe zombies?) but bandit raids at night or perhaps even randomly generated sieges on your fortress. A big part of Medieval Engineers is creativity. The developers go above and beyond when it comes to giving the players fun tools to play and create with. I mean heck, you can sculpt mountains or build a small town manned by NPCs to gather materials for you. If you’ve got a few friends, you can have a blast setting up a castle town. And as development continues and more features are added, the amount of tools available to you will only increase. Speaking of NPCs, I can’t say how they will play later on in the development, but they’re quite handy right now. You can spawn certain types – such as a miner, woodcutter, or porter – and use banners to direct them. So, you can set up a couple of mining NPCs to mine a portion of a mountain, and then set a porter NPC to go around and collect what is mined for you and take it where you like. Sure, their limited for now but the potential is fantastic. You can see a bandit that spawned to attack my woodcutters. Fortunately, he got stuck. Right now, you can build yourself a trebuchet from scratch. You can also build things like a drawbridge. To me, that’s pretty cool. In most games, you’re lucky if you’re given a peaceable structure that you can add resources to. But there’s something satisfying about going out and chopping wood and gathering stone, then using it all to build a death machine that can fling boulders long distances. Of course, if you’d rather just blow stuff up without the effort you can play in creative and use the projectile tool to simulate the damage a trebuchet can do. I can’t wait to see what other siege engines we can build in the future. The game isn’t yet complete, and the developers know this. So, even though the end game plan seems to be survival-focused medieval sandbox, they’ve provided an interesting team-based “Castle Siege” game mode. The premise is pretty simple. Two teams go against each other, with the goal of destroying the castle of the opposing team while protecting your own. I find the game mode quite fun, but I often find myself having trouble finding a match. If you’re looking for a more objective-oriented experience, Castle Siege is the way to go. Medieval Engineers is an incredible game already, and I can’t wait to see how it looks in the future when it’s more feature complete. Just like with Space Engineers, it has set the bar for future sandbox games quite high. Not many games can come close to the level of detail that the terrain and physics systems in this game and it’s truly something to behold. 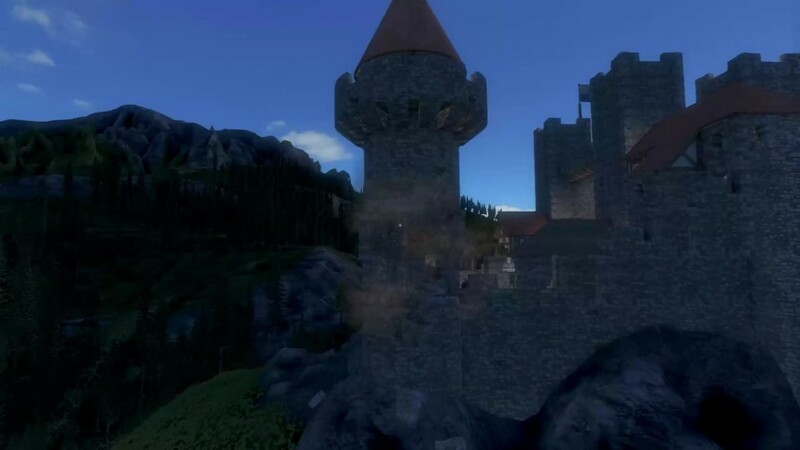 Anyone who loves building (and destroying) should definitely check out Medieval Engineers. Don’t be discouraged because of it’s Early Access status, either. It still needs polish and features added, but Keen Software House has a solid track record of providing plenty of TLC to their in-development games to reach perfection.